The FLA also said that it found “crucial communication gaps that have led to a widespread sense of unsafe working conditions among workers.” During the past year, all three of the factories that were inspected by the FLA were found to have exceeded 60 hour work weeks, per worker, for employees and China’s legal limit of 40 hours per week plus an additional 36 hours of overtime. Worse, it appears that 14% of Foxconn’s employees didn’t receive proper compensation for their overtime and that “unscheduled overtime was only paid in 30-minute increments.” Under those rules, an employee that worked for 29 minutes would not receive any overtime. 64% of those surveyed by the FLA also said that they didn’t feel their pay was enough to cover basic needs. FLA said it will continue to investigate living conditions and the cost of living in Chengdu and Shenzhen to further investigate if pay is enough to live comfortably on. Safety has been a huge concern, especially following an explosion at an iPad plant, and 43% of Foxconn’s workers said they have already witnessed or seen an accident. 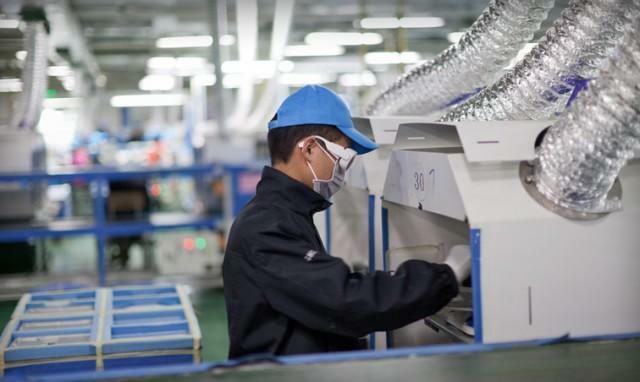 “Many of Foxconn’s health and safety problems, including blocked exits, lack of or faulty personal protective equipment and missing permits, were immediately corrected during the course of the investigation,” The FLA said in a statement.”FLA found that, one year after the Chengdu explosion, Foxconn had improved operating procedures, measurement, and documentation to reduce risks related to aluminum dust where Apple products are made.